This entry was tagged art, Bryan A. Garner, Chicago Manual of Style, Dave Barry, New York Times, Rock, Rock and roll, Yahoo. Bookmark the permalink. Decades ago, when I was editor of a rock music magazine, I spelled it “rock ‘n’ roll.” Nowadays, perhaps because I’ve grown lazier, I often spell it “rock & roll.” Heresy, I know. and roll or country as we know them. She still likes folk music but mostly listens to rock and roll and country. A Harvard comma after “roll” there would be fussy beyond all credibility, and would also suggest that “and country” was a mere afterthought, which may not have been the writer’s intention at all. The latest print version of the AP Stylebook does use “rock ‘n’ roll,” with the “n” enclosed in single quotation marks. I submitted an ask-the-editor question about it and was told this does not represent a style change. It was just a smart quote issue that will have to be corrected in a later book. AP style is still “rock (apostrophe)n(apostrophe) roll.” That said, the prevalence of smart quotes makes it almost impossible to be consistent about this. This blogging software, for example, automatically renders the apostrophe before the “n” as an open quote mark. Sigh. When I wrote the post, I was careful to check the apostrophes before the “n,” but now I see they were altered when I published the post. Perhaps they weren’t altered, but they simply didn’t show as smart apostrophes when I created them. Interesting that the AP Stylebook fell victim to this, given the attention to proofreading they must devote. I use AP Stylebook online, and the apostrophes are vertical on the website. It seems that all my apostrophes before “n” have been changed to open single quote marks, and no finagling in editing view can change that. A pox on word-processing programs that crush us with “helpful” automation. I imagine there is a workaround, but I have better things to do than find it, such as looking up “rock n’ roll” in a few more dictionaries. I thought this was interesting, as I find comments from editors about the vast land of English usually are interesting. But the thing that tripped my trigger, especially for ebook writers is the reference to the “Chicago Manual of Style suggests we make sure the first apostrophe in rock ‘n’ roll is truly an apostrophe and not a single open quote mark. I am beginner with English but references to things called printer marks, as I would describe them, if I may; but the need for marks not represented on the keyboard bothers me. In the days of author, editor, agent, publisher I’m sure that these corrections would be achieved. In the day of ebooks with writers and their keyboards getting to marks that are not represented on the keyboard seems problematic. Like the expression of the subject “rock ‘n’ roll”, usage seems to be the driving force, the key determinate. Would it be reasonable to conclude that with increasing use of keyboard characters will limit compliance with these finer points. I realize from days gone by that I can produce many ASCII based characters by use of the Alternate key with the numeric keypad, such as the copyright mark. I’m 20 years old, so I obviously wasn’t around when rock ‘n’ roll began; however, I know exactly what someone means when they just say “rock” (in terms of music, of course). I have to ask, as a college student, why can’t I just use “rock” versus “rock ‘n’ roll”? 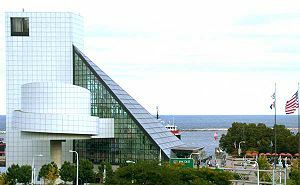 The museum (Cleveland) prefers “Rock & Roll,” which must, surely, influence public usage (spelling) of the concept? Yeah, but the first mark before the n should be an apostrophe, facing left, not an opening single quote mark. Be careful because many computers do this automatically. Personally, I am not a fan of the “smart” punctuation as it often leads to mistakes that were not made on the part of the writer. Because the “n” in between “rock” and “roll” is mission both the a- and the -d in “and,” this proves to be a difficult to word to punctuate if one is not careful. This was a great post about the many marks assigned to the genre, from apostrophe to ampersand. I’m a bit wistful about this update: Merriam-Webster has fixed the disconnect between the Collegiate and Unabridged so they are no longer at odds with each other. Both versions of the dictionary give “rock and roll” as the main entry with “rock ‘n’ roll” the accepted variant.